Day 2 Delhi: On arrival you will be met and transferred to your hotel. 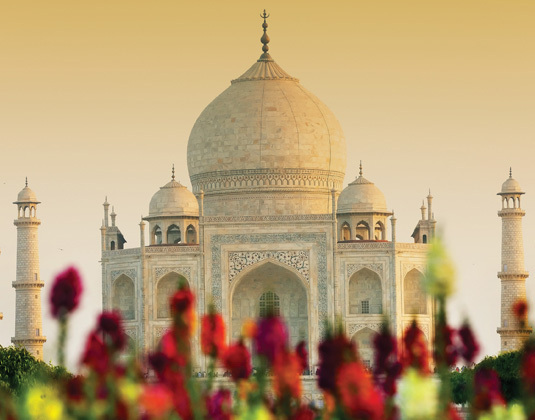 Days 3-6 Delhi/Jaipur/Agra: Golden Triangle Discovery tour, which is privately escorted includes guided sightseeing in each city and travel by road by air-conditioned car. Day 7 Agra/Delhi/Colombo: Early morning sunrise tour of the opulent Taj Mahal before returning to Delhi and then flying onwards to the Sri Lankan capital. Days 8-10 Colombo/Kandy/Nuwara Eliya: Hill Country Journey itinerary, a privately escorted side trip by air-conditioned car, which includes visits to the Pinnawala Elephant Orphanage, Royal Botanical Gardens in Peradeniya and much more. Day 11 Nuwara Eliya/Bentota: Transfer from the cooler climes of tea country to the coast. Days 12-16 Bentota: At leisure to relax on the beach or beside the pool. Day 17 Colombo: Your tour concludes with a transfer to the airport for your onward journey. Accommodation: 3* hotels on Golden Triangle Discovery tour and Hill Country Journey and 4* Cinnamon Red, 3*plus Colombo Tangerine Beach, Bentota. Higher grade hotels available in beach resorts. Meals: Half board on Golden Triangle Tour (except one day) and at Bentota; breakfast during Hill Country Journey. Tour price: The price shown is based on the best value travel dates in low season and includes international flights, guided sightseeing on days 3-10, accommodation as shown and private transfers in each resort between the airports and hotels.